Three decades in, Naomi Campbell’s modeling career is still going strong. Need proof? Her latest Paper magazine cover should convince you of her supernatural longevity. Featuring some amazingly over-the-top looks including Viktor & Rolf couture, Dolce & Gabbana, and more, every single image is what fashion dreams are made of. In the accompanying interview, Campbell talks about mentoring up-and-coming models. “If a young model asks me for advice or if I can help them, I will,” she told Paper magazine. “I’m very much supportive of young artists, young photographers, young models. There is nothing wrong with sharing; I think you should. And I never do it expecting anything in return.” Head over to Paper magazine’s website to check out her full shoot and enlightening interview—you’re guaranteed to like the supermodel even more. 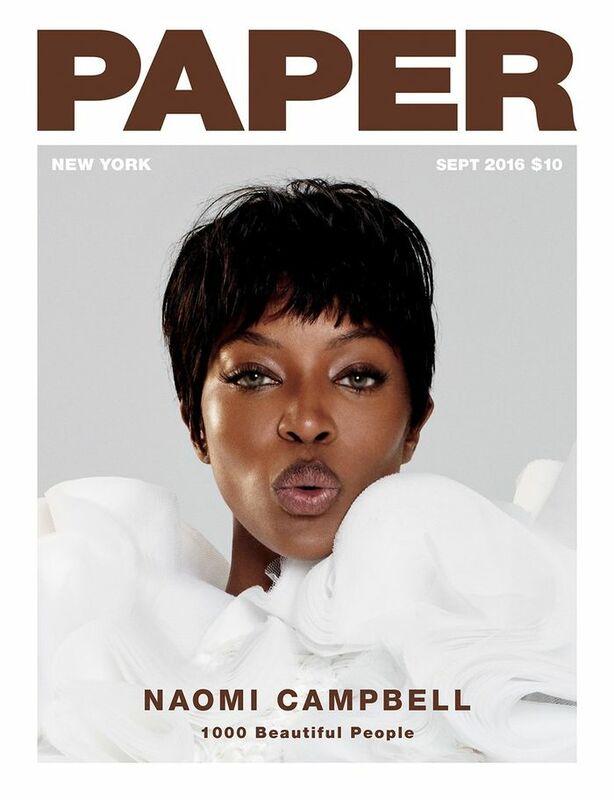 Scroll down to take a peek at Naomi Campbell’s new Paper magazine cover shoot! On Naomi Campbell: Viktor & Rolf Haute Couture dress. On Naomi Campbell: Maison Margiela Artisanal by John Galliano jacket; Victoria Grant headpiece. On Naomi Campbell: Stephane Rolland dress. On Naomi Campbell: Maison Margiela Artisanal by John Galliano top; Dolce & Gabbana bra and briefs. Which image is your favorite? Tell us in the comments below, and then shop Dolce & Gabbana lingerie like Campbell wears in the shoot!